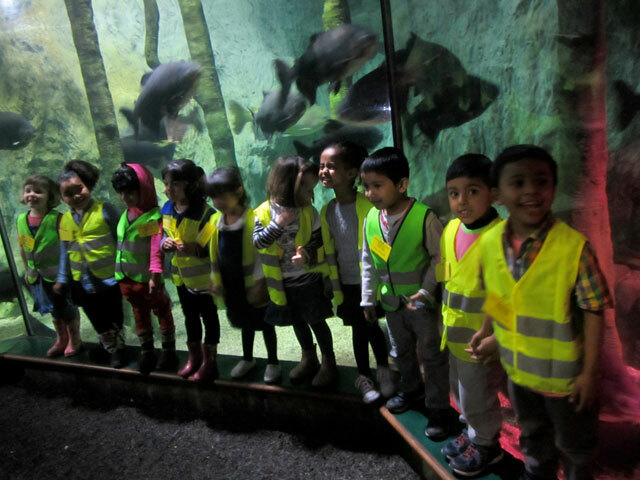 With 14 splashbacks to design and make to go above the new sinks, the children and staff agreed that water and fish would be a good theme, especially as the children liked their new aquarium so much. 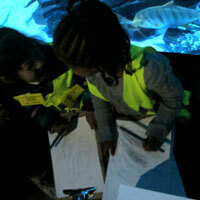 A group of children from the nursery went on a trip to The London Aquarium to draw the fish accompanied by staff, parents and the Artyface Artists Catherine, Becky, Olivia and Maud. 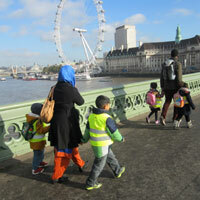 Maria, the art co-ordinator, also arranged for trips out to view local mosaics. 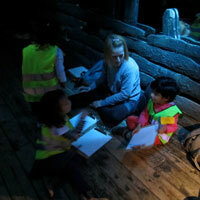 Catherine visited the Nursery with real fish for the children to draw. 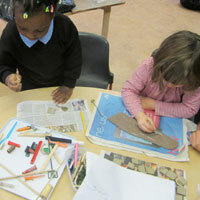 Becky and Olivia took in crank clay to make the fish and bubbles with the pupils. 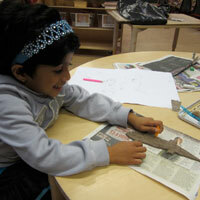 The children rolled out the clay, traced their fish drawings on to the clay and experimented pressing objects in to make scales, eyes and fins. 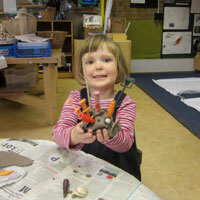 They used the knives to cut their fish out and circular cutters to make bubbles. 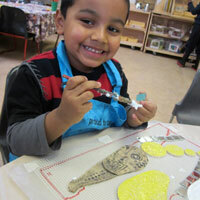 These fish and bubbles were glazed according to how many the children wanted red, orange, yellow or 'toasty'. 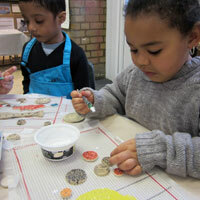 The mosaic 'water' was then glued down by pupils around the stoneware fired fish and bubbles. 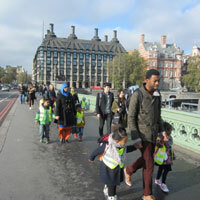 The majority of the full time children (60) took part. 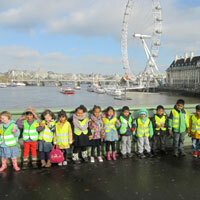 The unique splashbacks are now in place opposite their school aquarium and the children are very proud of their work. 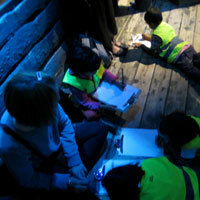 "This exciting project supported a fabulous range of challenging learning experiences including: knowing that books serve a range of purposes, being able to notice and talk about what they see/feel and smell, as well as to use real tools for a purpose and lastly, manipulating materials for a specific effect. 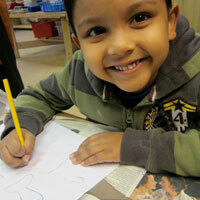 This entire project perhaps most importantly was hugely successful as the children were predominantly the leaders of their learning and through this process enhanced their creativity!" 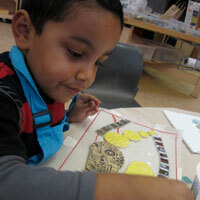 "The wonderful experience to create the mosaics enabled the children and the adults to learn new skills. 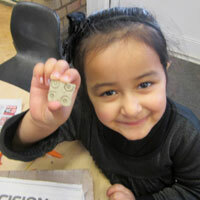 Everyone involved enjoyed developing their knowledge about mosaics and the children showed great pride in sharing their mosaics with their families. 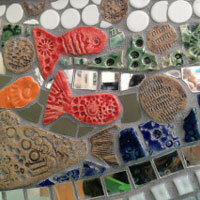 I certainly feel inspired to create more mosaics in the future."